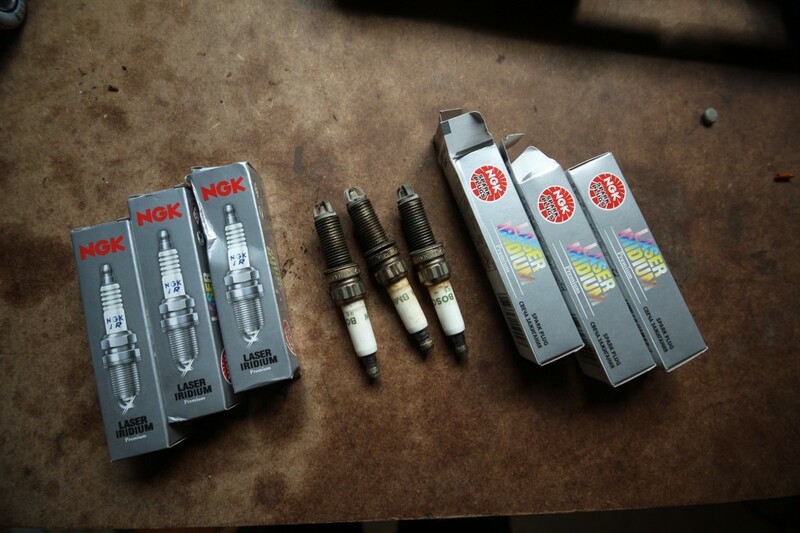 Now that the car is running higher boost, I decided I should probably replace the OEM spark plugs. I went with NGK 5992 plugs because they run 1 step colder than stock and are gappable. I visited Bob again because I wanted to test for boost leaks. Part of me was hoping we’d find a small leak somewhere so I could upgrade to a metal charge pipe with a blow-off-valve and a larger intercooler. We didn’t find any leaks, but I’ll still buy those parts sometime soon. Bob also has the tools for flashing the DME. My first flash was the free BMS E85 flash. It was okay, but I didn’t notice much. I went back and had him load an E85 flash from Wedge. It was great. I ran it for a week or so, took some logs, sent them to Wedge, and he sent back another version of the flash. This time when I visited Bob, I had him load the new flash that Wedge created. On the way home, I pulled up to an E39 M5 on the highway. He toyed with me and once things cleared up, we were able to do a pull. I put bus lengths on him! I’m not sure if I should have expected more out of his 4.9L V8 or if my car is just fast. I plan on hitting up the drag strip next week.